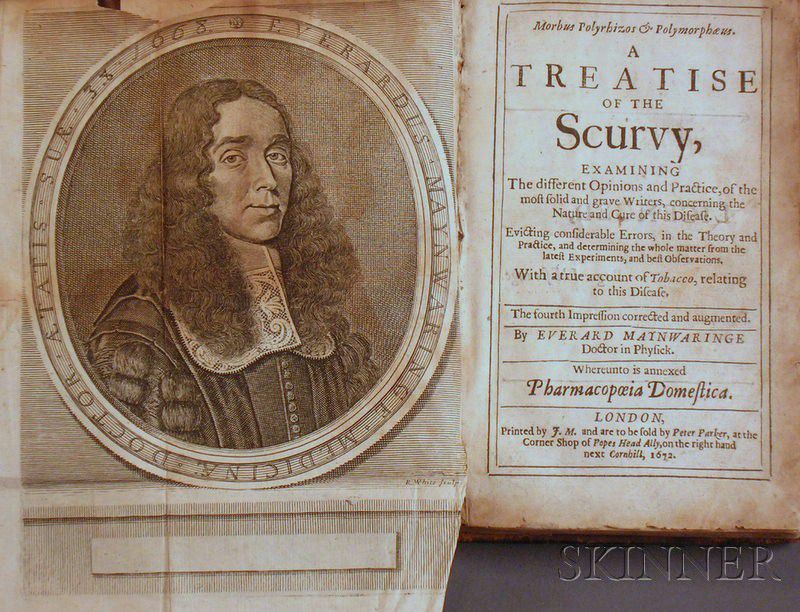 (Medicine, Scurvy), Maynwaring, Everard (1628-1699? ), Morbus Polyrhizos & Polymorphaeus. 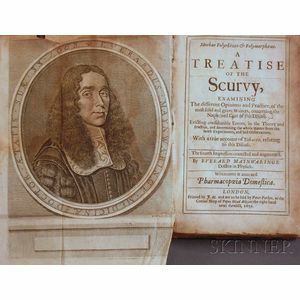 A Treatise of the Scurvy, London: 1672, with folding portrait frontis, calf, 8vo, (chipped, bumped, portrait with chips to upper edge, browning, and small hole at fold, overall minor browning).